Wynn Free presents a compelling case for David Wilcock being the current incarnation of Edgar Cayce in their coauthored book, a fascinating read that was hard to put down. I mean, the readings and channeling of the ancient Sun God Ra he documents are so hauntingly resonant with deeply buried memories of ancient days— “when the morning stars sang together and all the sons of God shouted for joy.” Ra’s messages alone are charged by spirit with wisdom, love and compassion, echoing New Testament teachings. Could this actually be a visitation from the Realms of Light bringing fair tidings to Earthlings to line up with the Tone of Love lest we be left behind as the Ascension, presently underway, takes the planet and all living beings on into the next level of the “Fourth Density?” Well, not everyone. Souls who are not ready to ascend to the fourth density will have to be transported to another third-density planet in the galaxy. Sounds like science fiction, doesn’t it, until you get into their book and realize that they are dead serious. I’m going to skip through the first chapters of Wynn Free’s book wherein he presents compelling evidence in his case for Edgar Cayce’s reincarnation in David Wilcock, and cut to the chase of what Free calls in chapter nineteen “A Scientific Blueprint for Ascension.” But first let me introduce “Ra” to you as Cayce and Wilcock knew and channeled them. Ra—The name of the “social memory complex” or “group soul” that is the source of David Wilcock’s channelings and the hypothesized Source of Edgar Cayce. Also the name of the Egyptian Sun God, which was an early life of Edgar Cayce in Egypt. According to the story in Wynn Free’s book, this “group soul” of beings live in the sixth density. They are called “wanderers” in the narrative. They have volunteered to descend into the third and fourth density in order to assist earthbound souls through the ascension process and transition to the fourth density. Sounds like “a band of angels” and they’re “comin’ after me. Comin’ for to carry me home.” It is said there’s a grain of truth in every belief and legend. The context of this 2012 event is at the end of a 75,000-year cycle in our solar system’s evolutionary journey through the Milky Way Galaxy. That’s three 25,000-year cycles. So, according to Wilcock’s 30 years of research, we’re entering the fourth 25,000-year cycle at this time where the “density” of substance is thinner than previously experienced. Could this be the Apocalypse of light foretold by John in his Book of Revelation? The dawning of a “new heaven and a new earth” he saw “coming down from God out of heaven” and filling the earth with light? And I saw a new heaven and a new earth: for the first heaven and the first earth were passed away; and there was no more sea. And I John saw the holy city, new Jerusalem, coming down from God out of heaven, prepared as a bride adorned for her husband. And he said unto me, It is done. I am Alpha and Omega, the beginning and the end. I will give unto him that is athirst of the fountain of the water of life freely. He that overcometh shall inherit all things; and I will be his God, and he shall be my son. . . .
And he carried me away in the spirit to a great and high mountain, and shewed me that great city, the holy Jerusalem, descending out of heaven from God, having the glory of god: and her light was like unto a stone most precious, even like a jasper stone, clear as crystal . . . .
And I saw no temple therein: for the Lord God Almighty and the Lamb are the temple of it. And the city had no need of the sun, neither of the moon, to shine in it: for the glory of God did lighten it, and the Lamb is the light thereof. . . . Sounds like an otherworldly state of being , one certainly different than what we’ve known and out of which we’ve lived our lives for millennia. Perhaps the “Golden Age” of ancient prophecies Wilcock recalls in his writings. Now, the traditional Christian take on this passage from the Book of Revelation is that it describes “Heaven.” Yet when the Master Jesus spoke of the “kingdom of heaven” he didn’t point to some place beyond this world but to a place within human beings and all around us. “The kingdom of heaven is at hand” and “behold, the kingdom of heaven is within you” and “the kingdom of God is in the midst of you” are his recorded words in Sacred Scripture. If anything can be said to be within us and in the midst of us, besides our Self, it is consciousness and the wonderful world of Creation sustained by life. Life itself comes out of the kingdom of heaven within all things and manifests a world of form and function. That’s what consciousness does: it serves the Creator in creating a world of various material densities. Anytime the words “city” and “Jerusalem” are used in the Bible, they are referring to a state of consciousness. And every state, or level, of consciousness consists of a heaven and an earth, a place where spirit (God) dwells—a heaven—and a density of substance that manifests what is being created in that heaven—an earth. Creator and creation are one. They implicate one another. You can’t have a creator without a creation, and vice versa. So, whatever John was describing here is taking place in consciousness and not up in the air. It’s well grounded, in other words. Paraphrasing, we could say: “And I saw a new state of consciousness . . . descending down from God out of heaven.” Something’s coming down, down, down and not going up, up and away. Now let’s compare John’s vision and revelation of “a new heaven and a new earth” to what Ra says via Wilcock about the ascension they say is underway from the third to the fourth density (and we’ll cover this in at least two posts). There’s a caution in Ra’s message not to try and grasp this with the mind, as the mind is a third-density capacity that can only comprehend 3-D forms, although some of this is 3-D cosmological science and physics. Wilcock’s research reveals that there are indeed strange things going on in our solar system. [I reported on these in earlier posts.] The following is excerpted and updated with permission from “The Spirit of Ma’at” (June 2001), and article entitled “A Scientific Blueprint for Ascension,” by David Wilcock as told to Wynn Free. It is important to note that this excerpt casually mentions various facts that are explained in Wilcock’s “Convergence” series with much depth and documentation, so this should not be scrutinized as a scientific document. The “energy” referred to herein is technically known as “torsion radiation” in Wilcock’s books, or “light-love” in the “Law of One” series, and it is not yet acknowledged to exist by Western scientists, since it is not one of the four “accepted” energy fields—gravity, electromagnetism, weak nuclear force, and strong nuclear force. This energy is more closely related to the force of gravity than electromagnetism, and it has been demonstrated to have properties of consciousness in a variety of Russian laboratories, originally with the pioneering research of Dr. Nikolai Kozyrev. These [various changes] are at the periods [from 1998] when the cycle of the solar activity, or the years as related to the sun’s passage through the various spheres of activity become paramount … to the change between the Piscean and Aquarian age. Questioner: Is there a clock-like face, shall I say, associated with the entire galaxy [dividing it up like a pie when looking at it from the top down], so that as it revolves it carries all of these stars and planetary systems through transitions from density to density? Is this how it works? The fourth density is, as we have said, as regularized in its approach as the striking of a clock upon the hour. The space/time of your solar system has enabled this planetary sphere to spiral into space/time of a different vibrational configuration …. 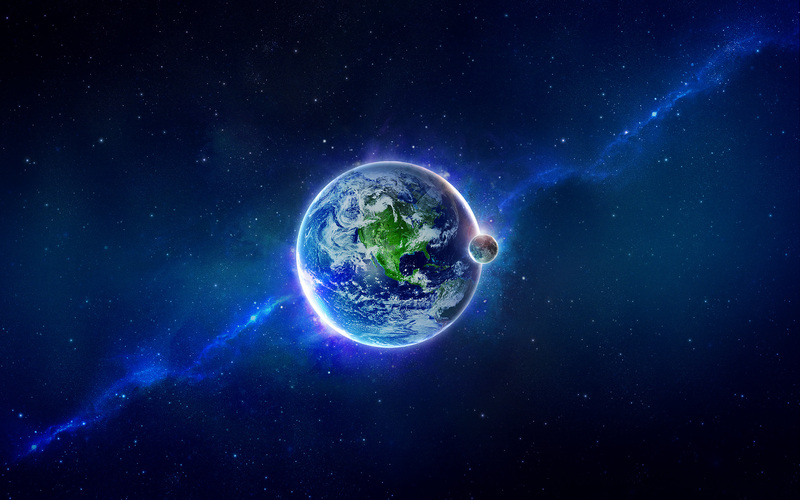 Ra: This sphere (Earth) … has not made an easy transition to the vibrations which beckon. This inconvenience … shall continue unabated for a period of approximately thirty of your years. Questioner: After this period of thirty years (from the date of this session, January 24, 1981, thus 2011) I am assuming that Earth will be a fourth-density planet. Is this correct? Ra: I am Ra. The harvesting is not yet, thus estimation is meaningless. Questioner: Am I to understand that the harvest is to occur in the year 2011, or will it be spread out? Ra: I am Ra. This is an approximation. We have stated we have difficulty with your time/ space. This is an appropriate probable/possible time/space nexus for harvest. Those who are not in incarnation at this time will be included in the harvest. Of course, Ra’s timeline fits in perfectly with the end-date of the Mayan Calendar, set for December 22, 2012. The Maya interpreted this date as a point when “time would stop” and humanity would enter into a new Golden Age. The keystone to all of this that we’re talking about—to everything we mentioned so far—is the idea that evolution must come on a mass scale, like the striking of the clock upon the hour. Ascension is not simply restricted to the Christian idea of the “rapture,” where Jesus comes back and ushers in a thousand years of peace. It’s a cosmic event, triggered by measurable scientific phenomena, prophesied in almost every major religious and spiritual tradition that has existed on the face of the Earth. Welcome GUATEMALA! And BELGIUM! And GHANA! And IRAQ! And UKRAINE! And MALTA! And SUDAN! Welcome all!